Headed into season two, Warner Bros.' Anderson is getting a makeover, including changing its name to Anderson Live and adding more live features to the show. "Our biggest overall goal for Anderson Live is to take the best elements of daytime and put them in a show that works in 2012. Being live plays to Anderson's strengths, providing immediacy and topicality, which allows us to talk about what is going on in the world," said Terence Noonan, the show's executive producer. 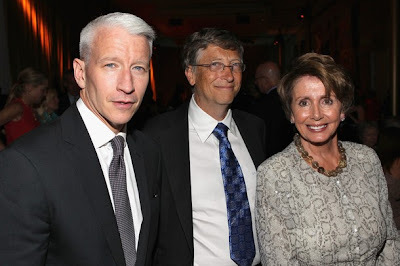 "Anderson Live is the show that makes you a little smarter, the one that you have fun watching, and at the end of each episode you can't wait to tune in the next day to see what's happening." 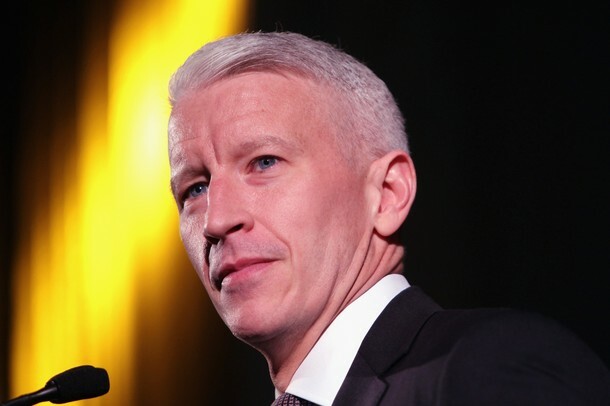 The show, which stars CNN anchor Anderson Cooper, will be renamed Anderson Live and it will be shot in front of a live studio audience, à la Disney-ABC's Live! with Kelly, the show on which Cooper cut his talk teeth. Anderson Live also is moving from the Time Warner Center to a new permanent set at the CBS Broadcast Center in Manhattan, which will have live capabilities that will allow the show to cover events while they are happening. "Our basic issue with our old studio was that we didn't control that space," says Noonan. "It was a performance space; it wasn't an actual studio. We had to take everything down every night. We can take advantage of the technology at the CBS Broadcast Center because they already do live shows there, such as the CBS Morning Show and the CBS Evening News. We can control our space and make it our home." As B&C previously reported, in season two, Anderson Live will feature different cohosts every day -- an experiment with which the show had good luck during the May sweeps. Naming a permanent cohost is still a possibility, said Noonan, but it's not as if the show is actively conducting a search. "We've got a lot of fun, great things planned for the new season. 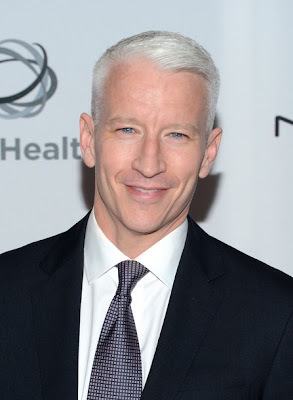 I am really excited to be joined by daily cohosts and look forward to switching to a live format, which allows us more freedom to cover topical issues as well as connect more with the viewer at home," said Cooper in a statement. Besides a variety of cohosts, Anderson Live is welcoming a new co-executive producer, with George Davilas joining the show. Davilas previously was senior supervising producer at CBS Television Distribution's The Doctors. Celebrities already booked to appear this season include Richard Gere and the cast of the new movie Arbitrage, Emma Watson and the cast of The Perks of Being a Wallflower, and TV stars such as Modern Family's Julie Bowen and Ty Burrell, The Mindy Project's Mindy Kaling, Scandal's Kerry Washington and The Colbert Report's Stephen Colbert. Anderson Live also plans to boost its social-media efforts. 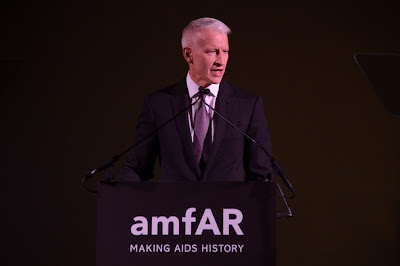 The show's companion website, AndersonCooper.com, is launching several new initiatives, including Anderson's Summer Instagram Photo-A-Day Challenge, a month-long photo sharing contest beginning Monday, Aug. 6, on Instagram where fans can post photos for a chance to win prizes; "Stump Anderson," in which fans are encouraged to send Cooper trivia questions that he'll attempt to answer during live webcasts; and "Anderson Seat Tweets," in which fans attending the show will send out live tweets as the show goes on. 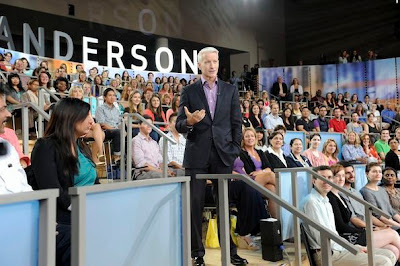 TV affiliates that air Anderson Live will receive new promos announcing the changes to season two on Tuesday evening (July 31) that they can start airing on Wednesday, Aug. 1. Anderson Live will premiere season two on Monday, Sept. 10. Studio Q posted a recent interview with Anderson's mom Gloria Vanderbilt. While Anderson didn't anchor AC360 from Yellowstone, he was on the rooftop in LA anchoring later that week and aired reports on his "adventure"
COOPER: I was in Yellowstone Park last weekend. It wasn't exactly a sight-seeing tour. I was there for our "Planet in Peril" series. And while it's taken us all over the world this year, this time, we decided to bring the story back here to America. 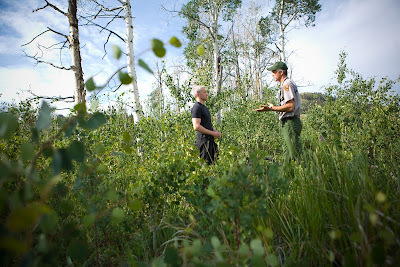 COOPER: Earlier this week, I was pretty far away from the city life you see behind me. 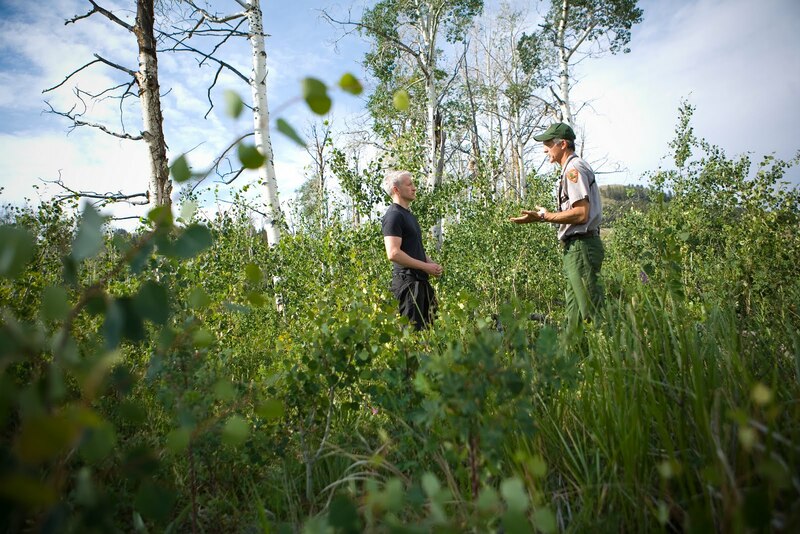 I was out in the woods on the hunt for a killer at Yellowstone National Park, on the lookout for gray wolves as part of our "Planet in Peril" series. Now the wolves were once near extinction. They're now back at the park and thriving. And while they're killing other animals, they're also bringing new life to the ecosystem. Take a look. COOPER: Remarkable -- gray wolves at Yellowstone National Park, just one of the stops in a project that's literally taken us around the world. Dr. Sanjay Gupta, Animal Planet's Jeff Corwin, a team of CNN producers and I have been working for months on a four-hour documentary we're calling "Planet in Peril." It looks at four major threats to the planet and how they're all connected. The Anderson talk show site posted 2 new sneak peeks this week. The first is with George, the program's new Co-Executive Producer. What are some of your duties as co-executive producer? Is there anything you’d like to add about the new season? Next up is Senior Editorial Producer Stacy, who heads the show’s busy Booking Department. What have you been doing in preparation for the upcoming season? How would you describe some of the changes for season two? How much news are you looking at over the summer? How will Season 2 be different than season one? As we continue to clean out our offices, we continue to run across old videos that haven't seen the light of day in ages. Anderson talks about the 2012 Summer Olympic Games in London, which begin today. Anderson says he’s looking forward seeing gold medalist Michael Phelps in competition. 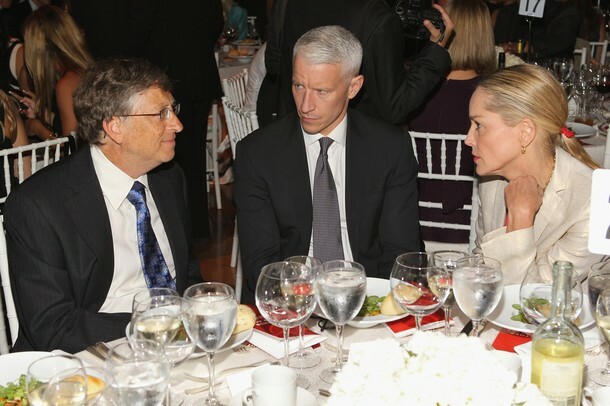 Anderson responds to @AndreaKcc, who tweeted, "How are you handling the heat wave in NYC?" He answered, "You know, I work all day long, so I'm basically in my office from morning 'til nine-o'clock at night." See what Anderson says about keeping cool on weekends when he's not working. 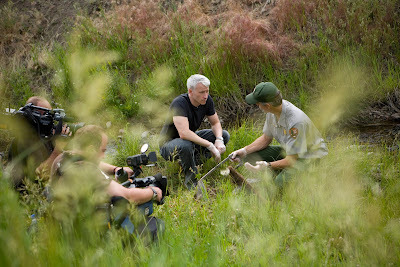 The 60 MINUTES presentation of “The Gardens of the Queen” with Anderson Cooper featuring Cuba’s Jardines de la Reina has been named a finalist in the BLUE Ocean Film Festival 2012, to be held September 24-30, 2012 in Monterey, California. Cooper and the 60 MINUTES team joined Dr. David E. Guggenheim, Senior Fellow and Director of the Cuba Marine Research and Conservation Program at The Ocean Foundation and Fabián Pina Amargós of the Cuban Center for Coastal Ecosystem Research, to explore this strikingl underwater ecosystem. Earlier this year, the 60 MINUTES segment, which originally aired in December 2011, won the 2012 Edward R. Murrow Award for excellence in journalism. “The Gardens of the Queen” will be screened at BLUE, with an introduction and discussion by Dr. Guggenheim, now in his 12th year working in Cuba, along with the 60 MINUTES producers (invited) and panel of experts focused on the significance of the piece as well as the important roles that marine protected areas play in protecting the world’s ocean ecosystems. The piece was hosted by Anderson Cooper and produced by Andy Court and Anya Bourg in collaboration with CBS News producer Portia Siegelbaum in Havana. The breathtaking cinematography was captured Bill Mills (Florida Film & Video) and Chris Everson. The producers’ vision was to tell the story of the global decline in coral reefs, but to do so by showing viewers what a truly healthy reef is supposed to look like, providing an important perspective. Unfortunately, healthy reefs are increasingly difficult to find in the 21st century. Named by Christopher Columbus to honor Queen Isabel, Jardines de la Reina, or Gardens of the Queen are one of the healthiest coral reef ecosystems remaining in the Caribbean. In a world where coral reefs are dying, the corals in the Gardens of the Queen are flourishing, and like a living time machine, the Gardens likely resemble the healthy coral reefs Columbus saw, avoiding the rapid decline so common throughout the Caribbean and the rest of the world. In addition to exploring the magnificient wildlife in an exceptionally healthy ecosystem, the program explores what makes this ecosystem so healthy and the implications for coral reefs elsewhere? Scientists believe part of the answer lies in the fact that Cuba established one of the largest protected areas in the Caribbean 15 years ago and former fishermen are now employed (and earn much more) at diving and fishing operations serving visiting ecotourists. Cuba has committed to protecting 25 percent of its ocean ecosystems in protected areas and has eliminated bottom trawling from its waters. The piece has received international acclaim and more than 18 million viewers tuned in to watch, the highest viewership for 60 MINUTES in years. Given the importance of bringing the public face-to-face with earth’s treasures and the challenges they face, many hope it can serve as a message for the broadcast industry to support this type of programming more broadly, not exclusively on wildlife-oriented cable channels. KILLER WHALE ATTACK VIDEO RELEASED, Orcas don't belong in captivity: Anderson's follow up interview with David Kirby, Author "Death At Sea World"
On the set of our Season 2 promo shoot, Anderson answered some questions submitted by fans on Twitter. @Lancmike tweeted, "Any previews for Season 2 of Anderson?" The University of North Carolina has a webpage where students doing internships can share their experiences. A student wrote about being a intern at AC360 this summer when Andrew Sullivan posted the news that AC was gay. I was checking my twitter timeline on the train to NYC when all of a sudden a Gawker tweet changed my whole day. "Anderson Cooper is Gay Now" it said. At first I thought it was another rumor, after all, he'd never addressed his sexuality before. Then I read it-- an eloquent email from the man himself. I was amazed! I understood his reluctance to address his sexuality because as a journalist objectivity is of the highest importance but I was proud. My boss was brave. He wasn't in the office that day. Actually, he wouldn't be in for the rest of that week. He was in Botswana covering story for 60 Minutes. So I knew there was no chance we'd address his email on the show. It was an interesting day at work that day. Mostly because I was shadowing our digital producer Ella who manages the show's web presence and I was on Twitter duty. 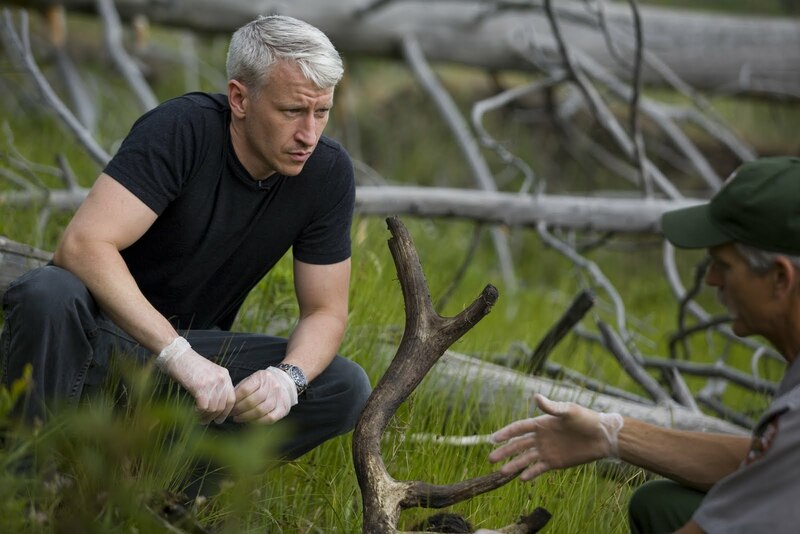 By the show's 8 p.m. airtime, Anderson Cooper had been a trending topic for 10 hours. The tweets ranged from support from celebrities, fans and show staff to tweets that insisted that the world already knew about his sexuality. When AC came back. He came to the show's editorial meeting and asked the staff if they had any questions. None except from one of our senior producers. Would he address it on the show? He said no. He said he had said everything he had to say. It was cool to see the public react to a message from someone I work with every day! 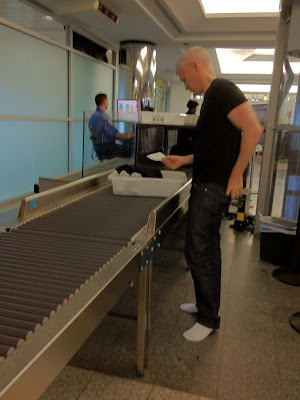 @HauteeCouturee tweeted a picture this morning of Anderson going through a TSA checkpoint on his way to Colorado this morning. 'Anderson' asked viewers to nominate co-hosts for season 2 of the talk show. If you have a suggestion just follow the link. And the talk show also posted a video about what Anderson watches on television. 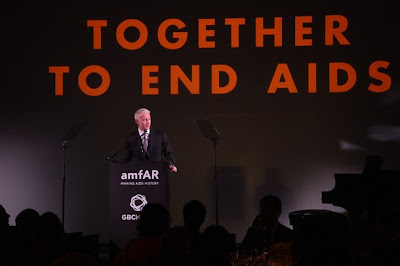 The amfAR Benefit Gala was a kickoff for the first international aids conference held in the United Sates in more than two decades. To read more about the event, please click here. Anderson's 60 Minutes story on Michael Phelps is re-airing tonight. If you missed our post on the original airing, please click on the link.